A charming and unique municipality set in the upper Lechtal valley, Bach is one of Austria’s best-kept secrets when it comes to high-quality skiing, as well as some truly stellar walking, hiking and hang-gliding routes. Featuring acres of farmland and several small hamlets, there’s much to do and explore in and around Bach village. Maintaining the village feel to its slopes, streets and surrounding country land, Bach is something completely different when it comes to providing an authentic Austrian experience. Without the scale or glamour of some of the larger resorts or towns, there’s far more room to enjoy the local culture and immerse yourself in the cuisine and lifestyle of the region. For those looking for a more laid-back experience of the winter season, then Bach is the ski destination for you – or for those who appreciate the countryside and stunning views of Austria any time of the year, this village isn’t one to miss. 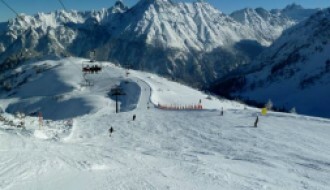 With a population of under 700, Bach is definitely a different approach to the average ski holiday. With less of the hustle and bustle of larger resorts or towns, it's possible to experience all the things to do in Bach with shorter trips, or to take a more leisurely approach to exploring this unique corner of Austria. While Bach still experiences the usual influx of visitors during the snow season, this proportion is less than the average large location – making it the perfect site for casual snow sports, relaxation and simply sitting back and enjoying village life. Nature Adventure trails are also available for those who prefer a more active holiday. Local attractions, such as the Die Holzgauer Haengebruecke suspension bridge and Lechtaler Bergheu-Museum encourage further exploration from visitors, with much to discover about the village's long history and unique positioning deep within the mountains. 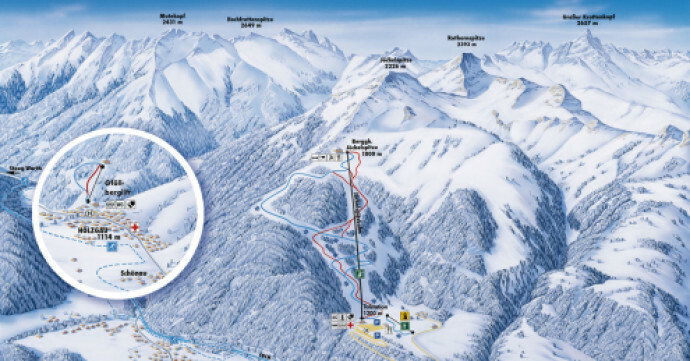 Bach features 5km of ski runs in the Jöchelspitze skiing area, which is just a short journey from the village itself. The slopes offer stunning views from the Lechtal and Allgäu Alps of the surrounding landscapes and hamlets dotted below. 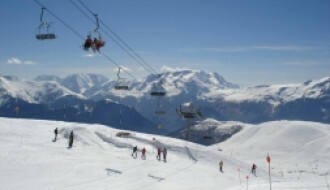 The snow season for Bach runs from mid-December to early March, with mountain snowfall of around 105cm. This short season doesn’t dissuade visitors, however, with plenty to do outside of season, and crisp, clear slopes in the coldest months. For up-to-date snow and weather reports, take a look at our Bach resort guide here. Thanks to its perfect positioning and more village-centric pace of life, Bach takes a more relaxed approach to life. From local restaurants to traditional pubs and bars, the villages and hamlets feature their own unique brand of charm when you’re off the slopes. With a focus on the outdoors and exploring all that the Austrian countryside has to offer, Bach probably won’t be your number one choice if you prefer the luxurious spas and swimming pools of larger resorts or towns. However, the lack of more luxurious amenities is more than made up for by all the activities available to holidaymakers who prefer to stay active. Bach features many walking routes and circuits in and around its villages and farmlands, as well as treks into the more mountainous areas of the resort. For those who enjoy the more thrill-seeking side of this mountain culture, activities such as hang gliding and rock climbing are readily available. Bach’s old-world style and unique location make it the ideal investment for those looking for life outside the fast lane. With access to compact slopes, integration into local village life and so much to see and explore, Bach has a lot to offer. Thanks to the traditional design of its properties, holidaymakers are granted a more authentic alpine experience. With the majority of properties maintaining the local flair and Austrian charm of Bach, from the village itself to the surrounding hamlets, when buying a property in Bach you're far more likely invest in a piece of genuine Austrian culture than a modern construction. 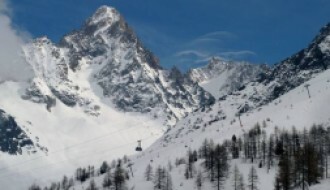 The 8-person gondola lift, known as the Jöchelspitzbahn, is planned to be replaced in late 2019 as the newest innovation for the area. This new lift will replace the existing lift that has been in use since the late 1970s, improving access to the area and providing a safer way to reach the slopes. The update is part of the 6.5 million Euro investment into the Tyrol area as a whole. Travel to Bach is relatively straightforward, with access to the area available through flights to Innsbruck, followed with travel either via train, bus or taxi. Thanks to Bach’s isolated location, it’s likely that you’ll need to hire specific transport. Alternatively, travel through Germany is also available for those looking for a more scenic route to the village. Bach’s isolated location is more than worth the journey, further adding to the feeling of escapism for those that visit this small mountain settlement. As a holiday destination or investment, there’s no doubt that Bach is one of the most unique options out there. Providing a laid-back atmosphere, masses of open space and slopes that are ideal for families, there’s much to love about this alpine location. Immerse yourself totally in local Austrian culture.